On New Year's Eve past I've breathed a deep sigh of relief to bid a goodbye to a-less-than -perfect year for our little family. It has brought me huge amount of life change. My baby was hospitalized due to Rotavirus infection. Buying a house. Leaving my job. Decided to further my study. Being in a far relationship. Leaving my baby at home with the husband. It's tough. Really.. But this overall feeling has leave me to be a better and grateful person. Grateful for my family and what we already have. We went through each month of 2014 with joy and we are grateful for that. Thank you Allah. 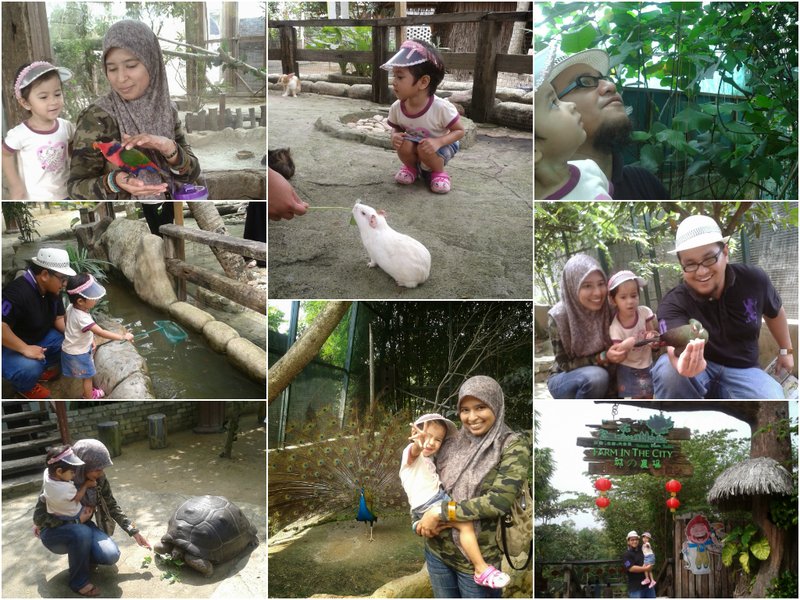 In January, we brought Aulia' visited the Petting Zoo in Serdang, Selangor. We had so much fun, it truly is the happiest place on earth for my baby (not so baby anymore!). We glad that we finally had time to spend with Aulia'. She seems so excited touching the tamed animals especially the guinea pig and she love the small fishes at the fish pond. We expecting to visit this kind of places again soon! Saturday is our morning to sleep in but we decided to head north with my in-laws family. 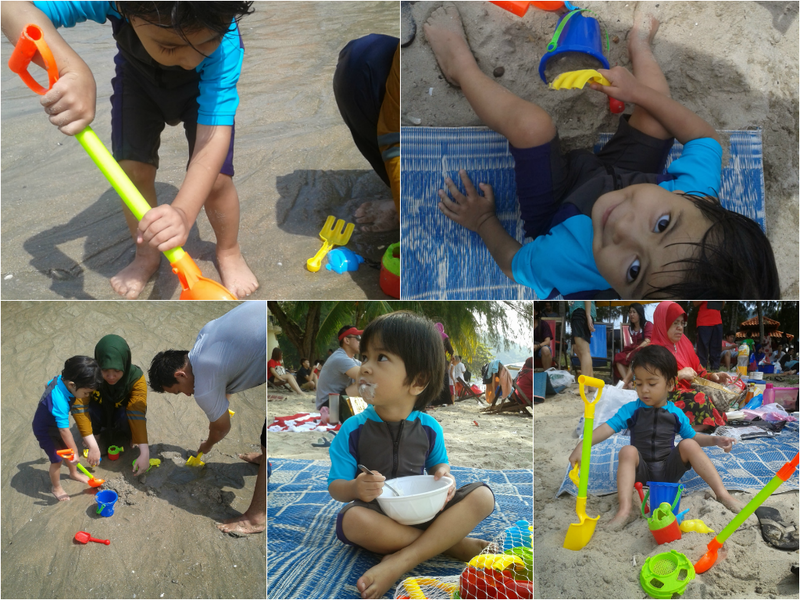 We had great picnic time at Teluk Batik,Perak. The kids had so much fun. The parents were smiling all the time. The siblings were excited that they could spend time together here when everyone were so busy with their schedule. I would say this is a great family vacation we had for this year. In March, my husband and I finally get to spend our quality time just the two of us in Bali, Indonesia. We visited many interesting places and took beautiful photos. It's kinda romantic when we travel around without the little one (it's not like we are forgetting her already haha!). This is really a good chance for us to talk about ourself, enjoying foods, sightseeing and being in love with each other. I recall this episode of my life as a nightmare. You can't even imagine when your child get truly sick. 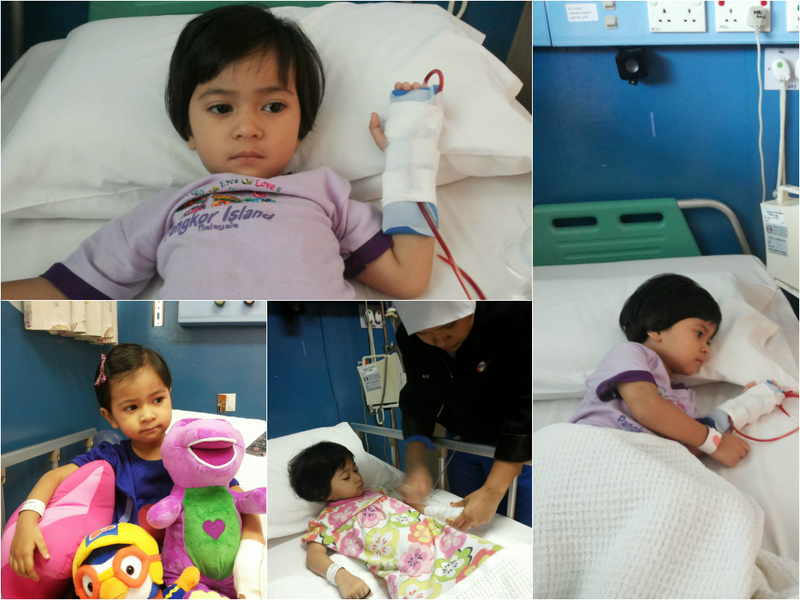 Aulia' was hospitalised in April due to Rotavirus infection. We stayed at the hospital for almost a week. Both my husband and I took care of her at the hospital. That one week was truly a nightmare. My baby can't sleep well. It is painful to watched her vomiting non-stop and not being able to talk and eat..After a week, Aulia's fever subsides and she was discharged from Ampang Putri hospital. What had happen to Aulia' make us alert by taking more precaution actions since this virus always attacked young children aged 2 to 5. May is a month that truly special to me. It is the birthday of my parents. My mom was born on May 2nd while my dad on May 21st. 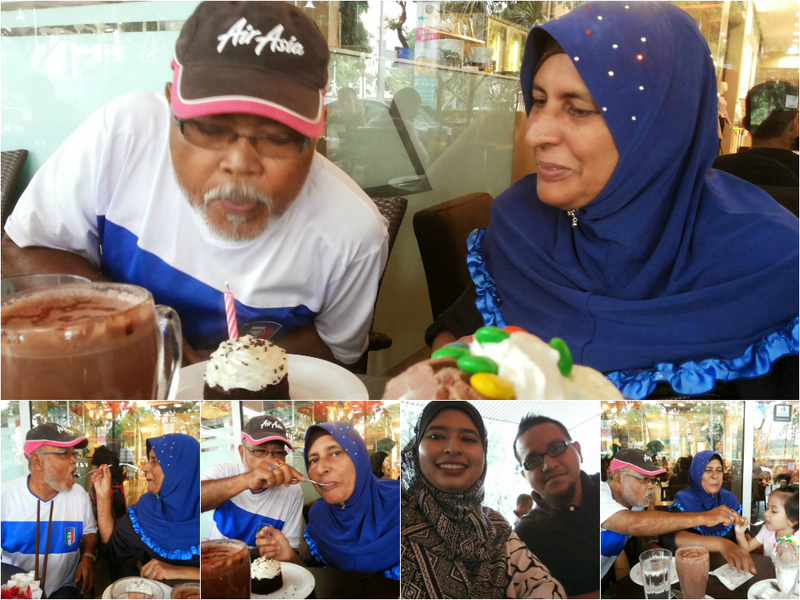 We celebrated their special day with a simple family gathering out for makan-makan. 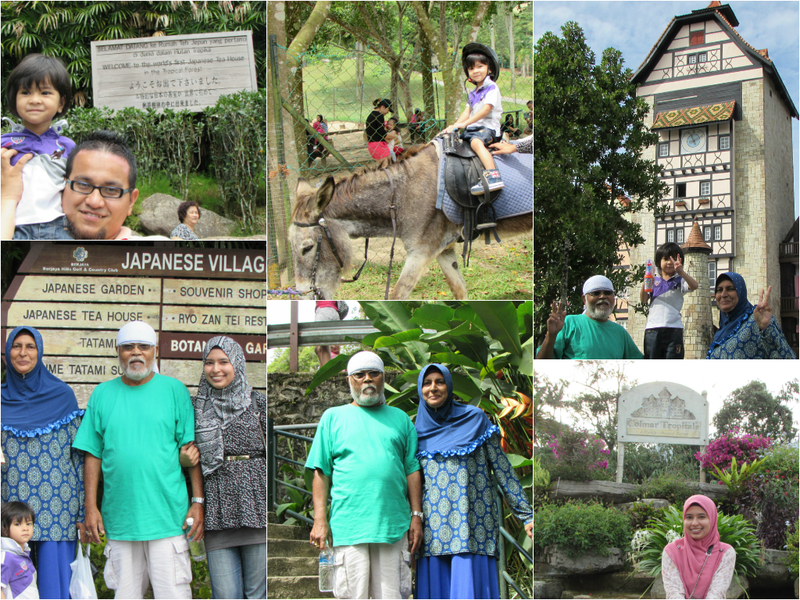 In June, my family went to Bukit Tinggi for a short vacation. 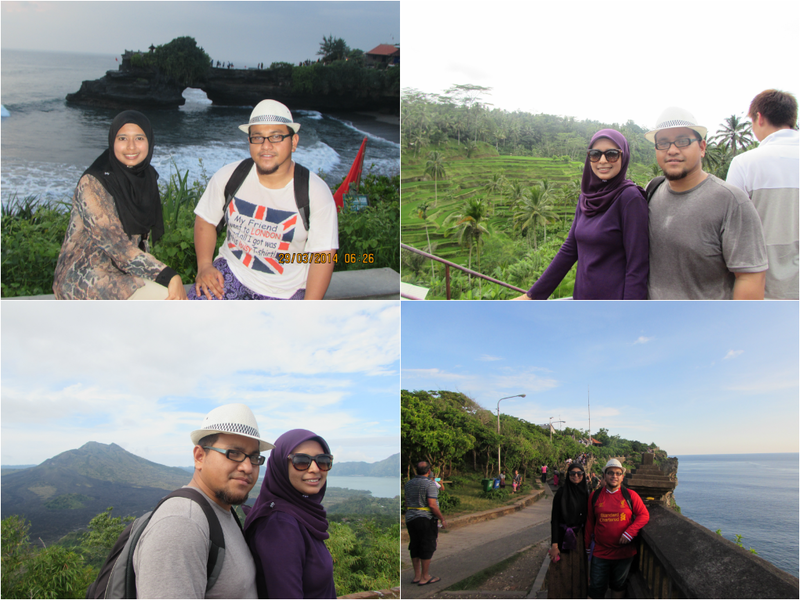 We did enjoyed ourself with the beautiful sceneries and weather. Aulia' had her first donkey ride and that little girl was so brave I tell ya. We are so proud of her. We celebrated Eid and visited my FIL's family side at the north. 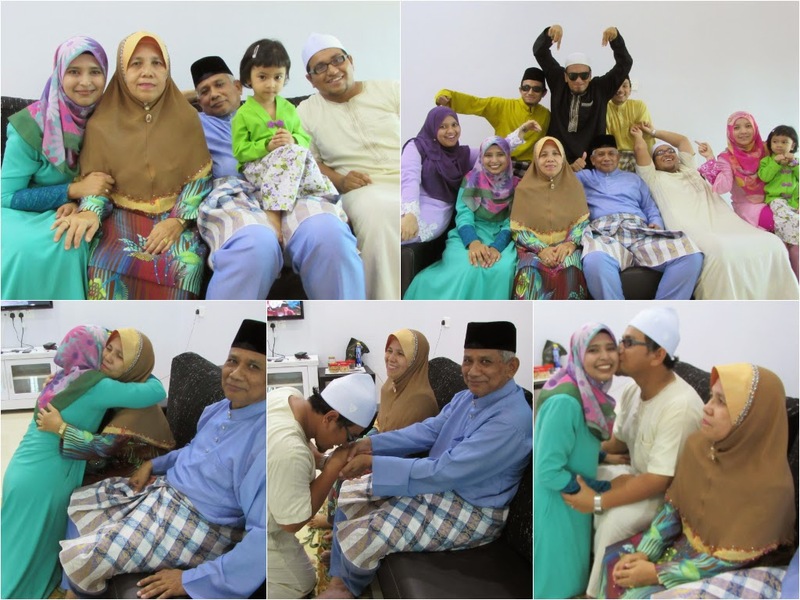 Family gathering is always the best moment and we surely captured that moment with a great memories. All siblings are here to celebrate Eid and seek for each other forgiveness. Our little one turns three last August and we celebrated her birthday at my in-law's. 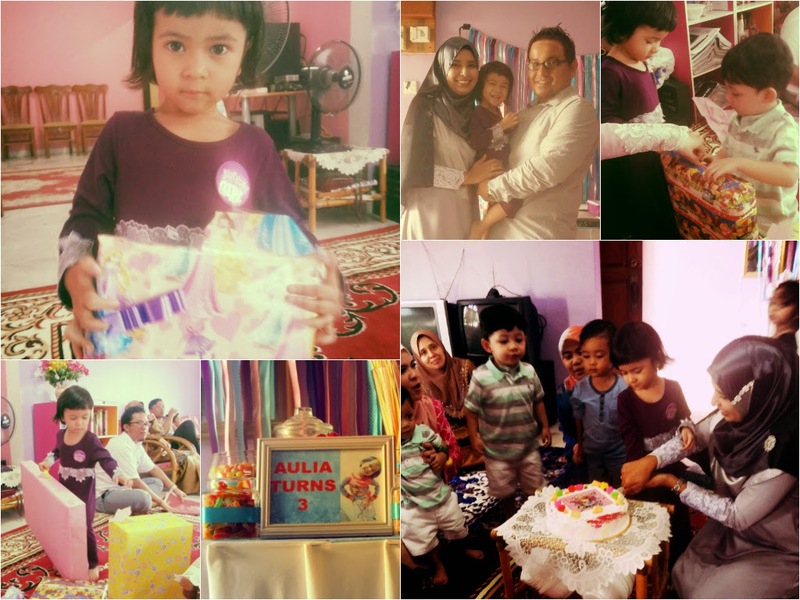 She was so happy receiving many presents, meeting with the cousin's and singing along with her birthday song during the cake cutting session. My family visited Medan, Indonesia in September. Medan is truly a nice place to visit. 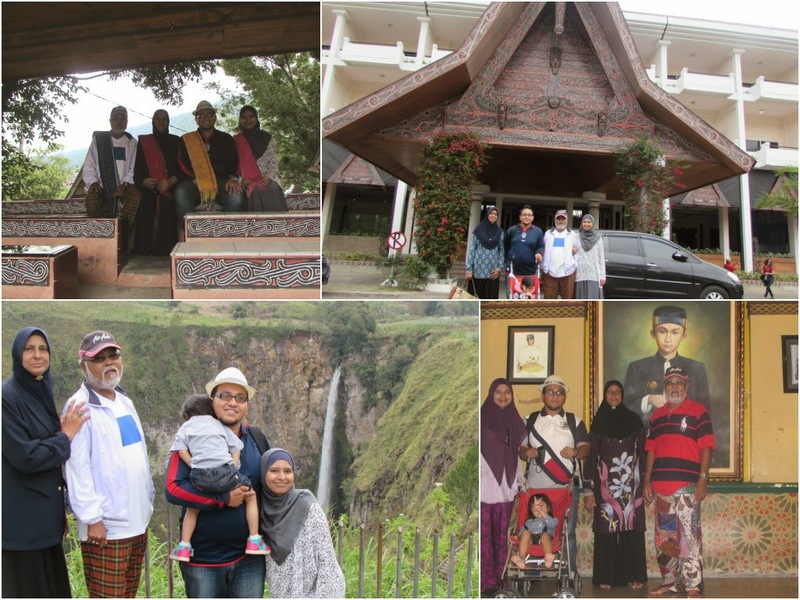 We spend 4 days and 3 night visiting many places such as Lake Toba, Samosir Island, Sipisopiso waterfall, Berastagi and Maimoen Palace in Medan. 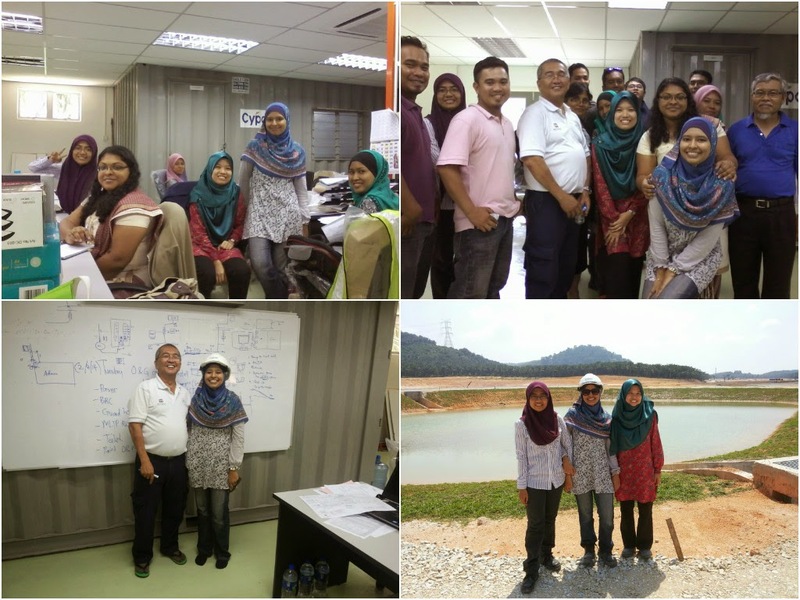 Later that month, after came back from the trip, I made the best decision ever to QUIT my job and further my study in PhD of Environmental Engineering at UTM. I have never been happier to be able to not wake up early mornings to fight traffic to go to a new role I didn't like one bit.. naahh..I love my job. But I love study much more. I am happy being a jobless bum for now and am loving the time spent with Aulia' save for naughty days that is. I bid farewell to my colleagues and wish them good luck for their future endeavour. After quitting my job in September, I have all the time in the world to pay attention to every details on what's happening in our family. I have more time to spend and enjoy every little things with my daughter. 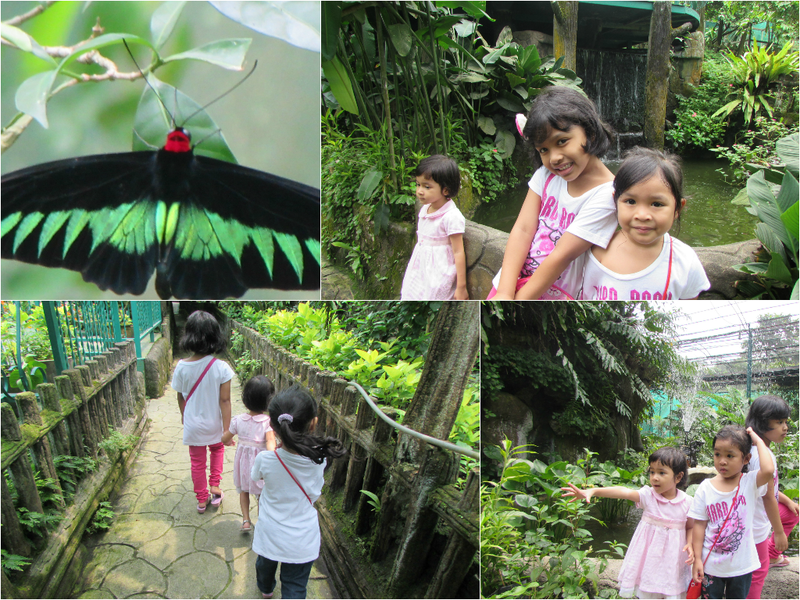 I took this opportunity to make an educational trip for Aulia' and her cousins to the butterfly park. On another weekend, we went to the bird park. We watched the bird show, egg hatching gallery and we played at the playground. I truly had a great time being a SAHM even for a while. Alhamdulillah praise to Allah, this year marked 29 years of my life. And this year I celebrate my own birthday at a new place, far from my family. 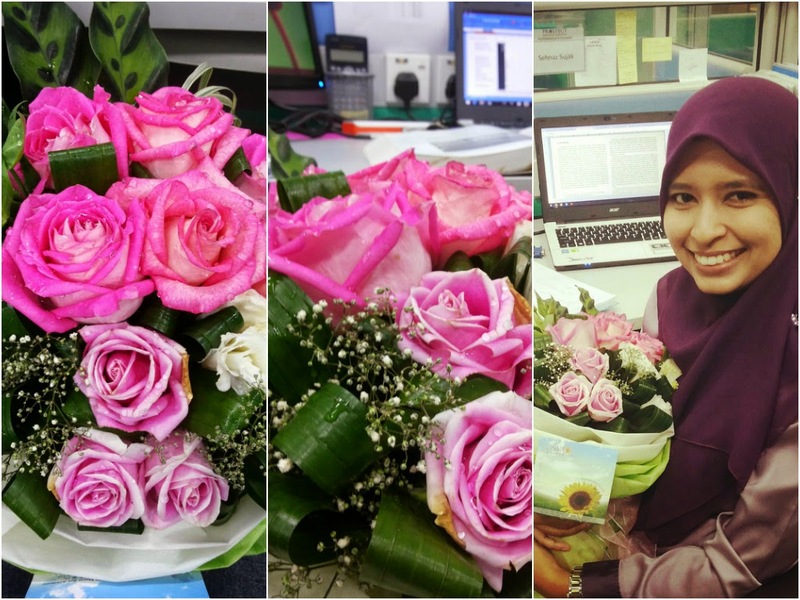 I was very surprised to get a bouquet of flower from my husband and received his special message. I on the other hand, almost cried and feel truly blessed that my husband is very understanding, loving and patient. I officially continue my PhD in Environmental Engineering at UTM Skudai. I quit my 6 years job, been a SAHM for a while and now here I am, doing research. 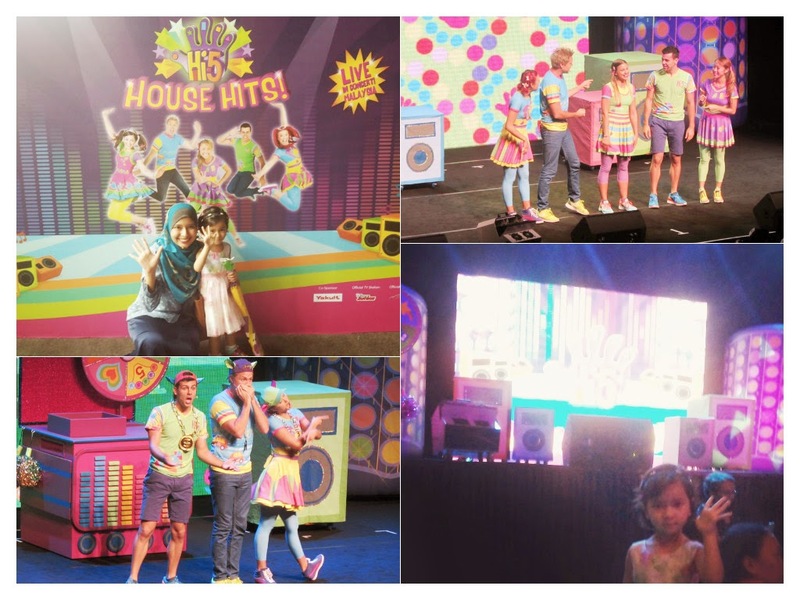 This is another great time we had when the Hi5 team came to Malaysia. Aulia' been the happiest kid in the world when we bought the Hi5 concert ticket and she get to see them personally at the concert. Since I only manage to see her once a week (sometimes on fortnightly!) this is the best time I can offer to bonding along with my lil one. She seems so happy and excited (and exhausted!) rocking out the concert for almost 2 hours. My BIL on the other hand got engaged with a girl from KL on the 1st week of December. It is an exciting moment for the whole family since he's been the quietest person at home and suddenly he popped the news of his engagement. 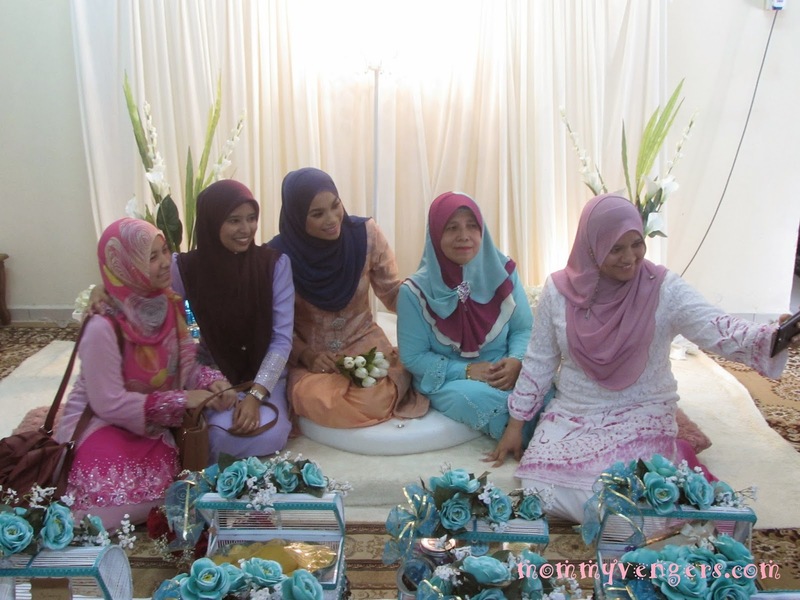 We made the necessary preparation for the engagement and as per discussed during the event, the girls' family side decided to held the wedding another one year. Which mean, by end of this year we gonna have a girl addition in our family, yeahh! So that's what in store for 2014. I am so ready to plan my resolution for 2015.